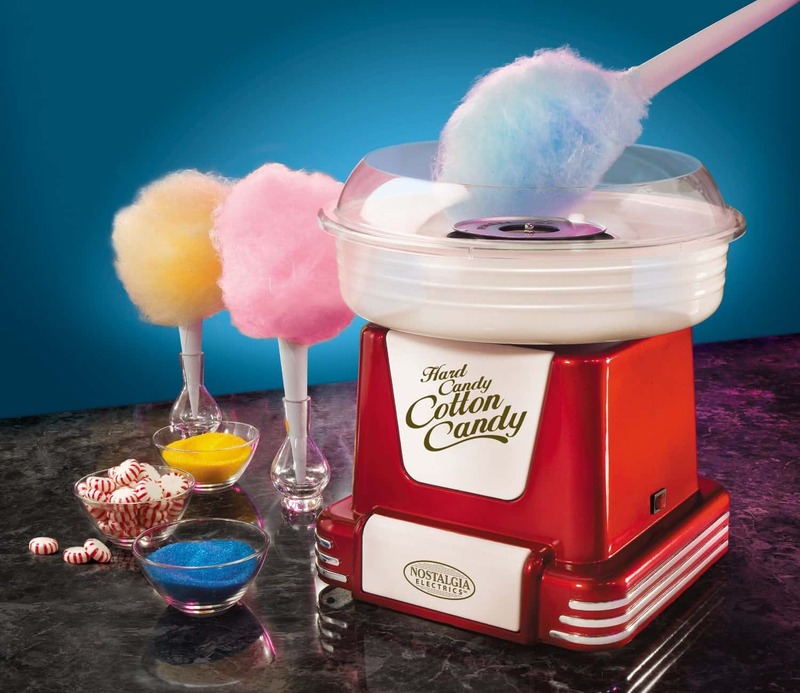 Do it in style at your next party or event with this cool Retro Sugar Free Cotton Candy Maker. This cotton candy maker is different from others on the market. It allows you to transform your favorite hard candy into cotton candy. This means that you can use sugar free candy and still create an amazing treat. Perfect for children's parties or for people with special dietary needs. If you like a sugar hit then it's still fantastic for that as well. An easy and fun addition to any party or event. Add an extra special touch by coordinating the color of your candy with the theme of your event.